I have always been a fighter. From the kickboxing ring to Perris Island, it’s in my blood. I have the same “fighter” mindset when it comes to medical legal defense. I have to be prepared and take proactive steps to legally defend my practice of medicine. Here’s the key to staying out of legal medical trouble It’s in the thinking. Sure, the documentation is critical. BUT…it’s more about the thinking behind the documentation. Negligent thinking is when you didn’t consider the possible bad outcomes. When a person falls on his or her wrist and presents with snuffbox pain, a provider must consider an occult fracture even if the XRAY is negative. We are taught that in medicine. Our reasoning must weigh the possibilities. Just like with a person who presents with GERD – we must consider ACS. If we don’t consider it, that’s negligence, and it opens us up to potential medical legal defense issues. Once we consider the possibilities, we need to adequately determine why it is not a scaphoid fracture, or why it is not ACS. We document our thorough process while weighing the facts like presentation, patient risk factors and risk/benefits. Your charts need one word to protect you. That word is “because.” Document the “why” behind your decisions. This will move your chart into a realm of judgment and not negligence. But, more importantly, the word “because” shifts your thinking into a judgment mindset – always be considering what would happen if this case had a bad outcome. How will my thinking be interrupted? This is the difference between a malpractice claim being started, a Certificate of Merit being filed or you receiving a certified letter. 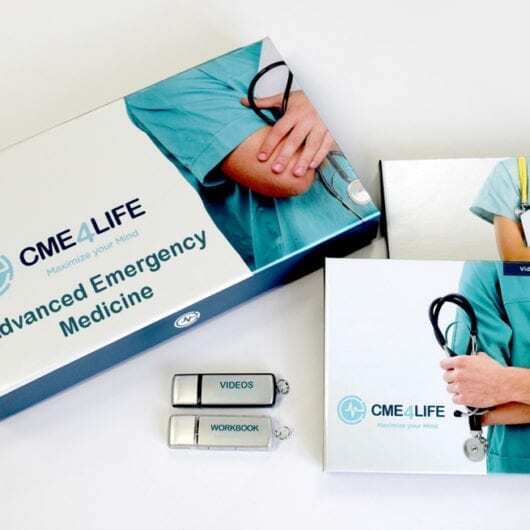 Our emergency medicine CME (and hey – get a free iPad, Surface or gift card with it!) helps you learn the information you need to make better decisions, and uses engaging techniques to help you recall that information when you need it. Check out our CME shop for all our CME packages and options.